I recently received a red ribboned gift from my good friend Bulleto! I was very excited. With trembling hands, I carefully pulled the ribbon off the box and peered under the lid. It was a mechanohog! Sure, I heard that they were dangerous, but they’re also cool and fun, so who cares right? Of course, Mooglegem would be thrilled as well. Now I could drive her all around Azeroth. I jumped on my new hog and told Bulleto to get in the sidecar. Meanly, I teased him a little about his weight. It looked like we were going to tip over! But no matter. I had a mechanohog, so nothing could stop me. If you had seen my face, you would have seen pure joy. 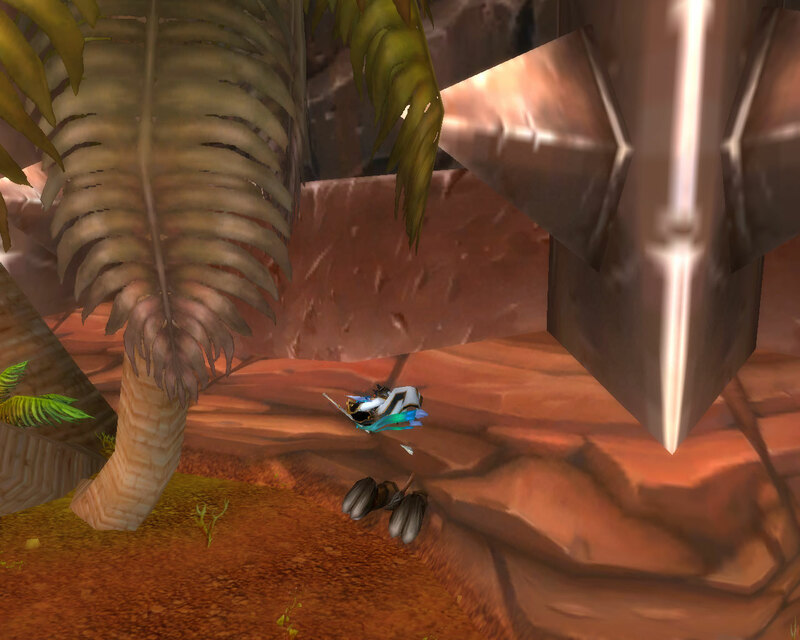 I raced through the streets of Orgrimmar, shooting up anything that could be used as a ramp just to fly through the air. Wanting to get closer to the sky, I took the elevator up to the Orgrimmar Skyway to look down on the city racing past below. Unfortunately, all those warnings you hear about the dangers of mechanohogs might be warranted. 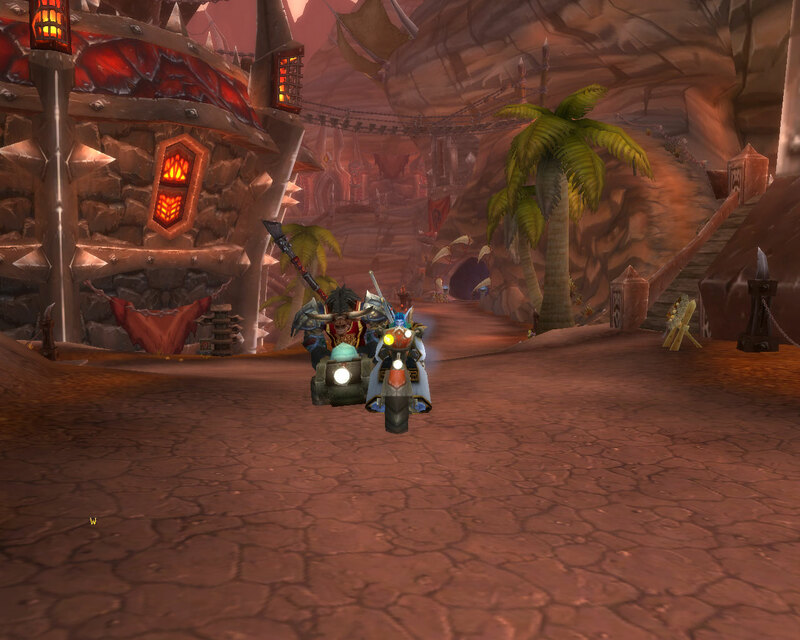 Not five minutes into my ownership of the new hog I went careening off the Orgrimmar Skyway (okay, I was doing wheelies near the edge) and plummeted into the side of Grommash Hold. Let’s go over the events again. Bulleto gave me a gift. I enjoyed it for a couple minutes. I killed myself and Bulleto. 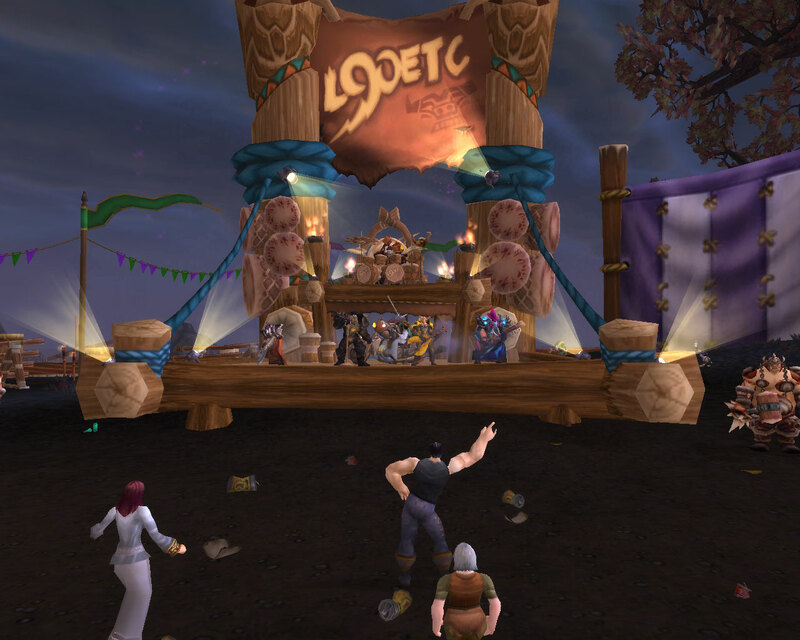 Lucky for us there are healers in Orgrimmar who were willing to restore us to the world of the living. Now I’m off racing around the world once again. Bulleto, I’m sorry I called you fat and killed you. You’re not fat, and I promise to be more careful on my mechanohog. I absolutely love it!